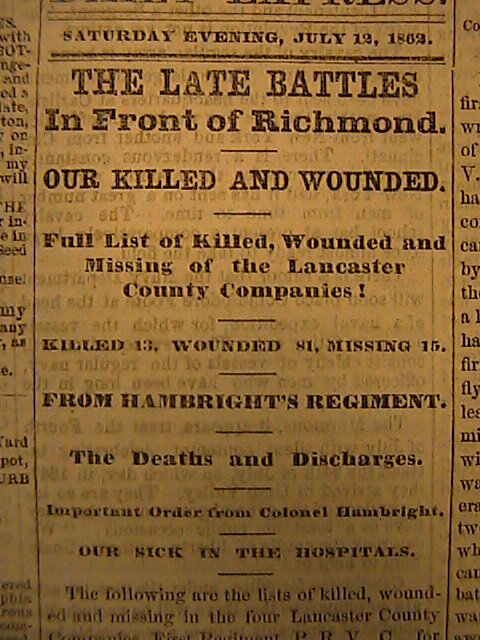 Before June 26, 1862, the Lancaster community's exposure to combat casualties had been limited. Only a few of the twenty or so companies recruited in Lancaster County had seen large-scale battles, and as far as I can tell none of the soldiers in those companies had been killed in action. That changed dramatically in one week when the Pennsylvania Reserves bore the brunt of a Confederate offensive out of Richmond known as the Seven Days Campaign. Three battles in particular over the span of five days produced casualties that shocked Lancaster County, and inaugurated a six-month seemingly nonstop sequence of battles whose mass casualties would transform how people in Lancaster thought about the war. The Pennsylvania Reserves had just joined the Army of the Potomac on its northern flank as it approached Richmond in June 1862. Gen. Robert E. Lee, the new commander of the Confederate army, saw taking the offensive as his only opportunity to save Richmond, and focused on the Union right--including the Pennsylvania Reserves--as particularly vulnerable since the army straddled the rain-swollen Chickahominy River. Over 60,000 Rebels concentrated on about 30,000 federals and intended to destroy them. The Pennsylvania Reserves' task, then, was to stop the Confederate momentum and buy time for the Union army to retreat and reform a strong defensive line. They fought in three battles, Beaver Dam Creek on June 26, Gaines' Mill on June 27, and Glendale on June 30. Casualties were severe with the four Lancaster companies accumulating 13 killed, 81 wounded, and 15 missing, based on initial reports. National accounts first allowed readers in Lancaster to infer by July 1 that the Pennsylvania Reserves had been in battle. On July 2, names of a couple of the wounded had reached Lancaster through private correspondence. Increasingly worse rumors continued over the next few days, with the Daily Evening Express printing on July 5 that two officers (Capt. Barton and Lieut. O'Rourke) had been killed and that Co. B, 1st Penna. Reserves, "had but eight men left." Thanks to a wagon master serving with the Army of the Potomac, a full list of casualties was furnished and published on July 12. The Lancaster community was shocked. The Patriot Daughters of Lancaster received a surge of donations of hospital stores, and a commission of three men left Lancaster on July 2 to personally deliver the first shipment. Fathers of wounded soldiers set out for Virginia to try to find their sons, including the County Register G. C. Hawthorne whose son Aldus was wounded. A group of Lancaster's prominent citizens petitioned to have military hospital established at the summer resort Wabank (where Rt. 741 crosses the Conestoga), although apparently York was chosen over Lancaster. The editors of the Daily Evening Express even suggested that a monument be built on Centre Square, a proposal that came to fruition twelve years later. The string of battles and casualties continued through the rest of the year without respite. 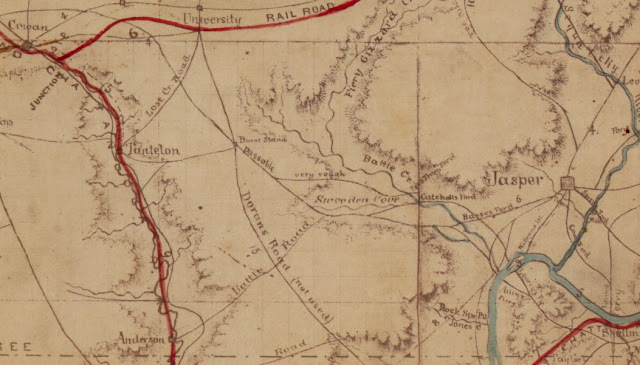 Second Bull Run, South Mountain, Antietam, Perryville, Fredericksburg, and Stones River badly cut up the companies that left Lancaster in 1861. As I think through what I've read about the second half of 1862, the whirlwind of campaigns and casualties transformed popular sentiments about the war, increasing determination, decreasing tolerance for anti-war (even anti-Lincoln) protesters, and making emancipation palatable. The 79th Pennsylvania, the Battle of Perryville, and the Lancaster community certainly offers a fascinating case study for this transformation, and I look forward to exploring it here later this year. After a perfectly executed surprise attack on Confederate cavalrymen at Sweeden's Cove on June 4, 1862, the 79th Pennsylvania and other units in Gen. Negley's command continued east towards the critically important city of Chattanooga. 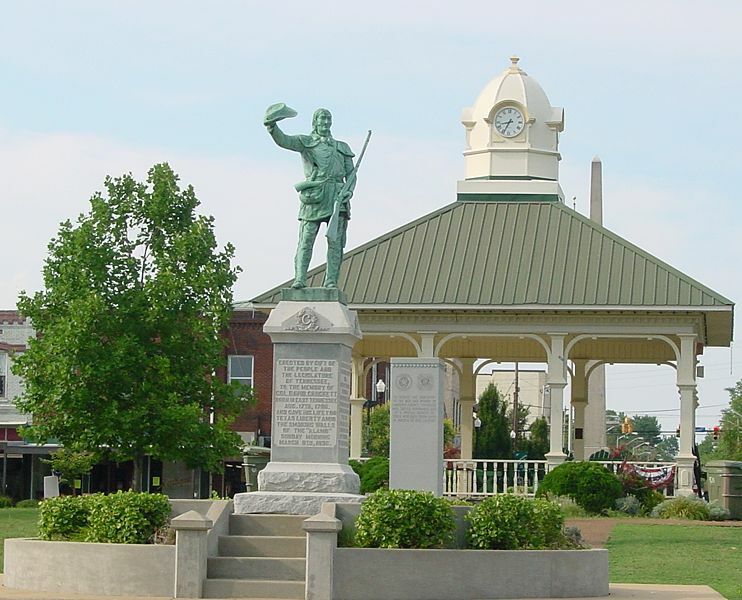 They arrived in the town of Jasper, Tennessee, on June 5 where the collected prisoners from the battle the day before and stared up at the mountains before them. We passed through some pretty good country, the people showering blessing upon us. One woman gave a Cavalry man a flag with the inscription the Union & Constitution & Remember Washington. In another place we saw a family who had been driven from home because their son would not enlist in the rebel service. They were in a swamp with nothing but a piece of canvas to protect them from the weather. She said she hoped that God might bless us & our Cause. We caught seventeen prisoners. This is the most loyal part of the country we have been in yet. On June 7, the 79th Pennsylvania left its lofty bivouac early in the morning and began to descend the mountains to Chattanooga--scenery that Clark called "beautiful in the extreme." 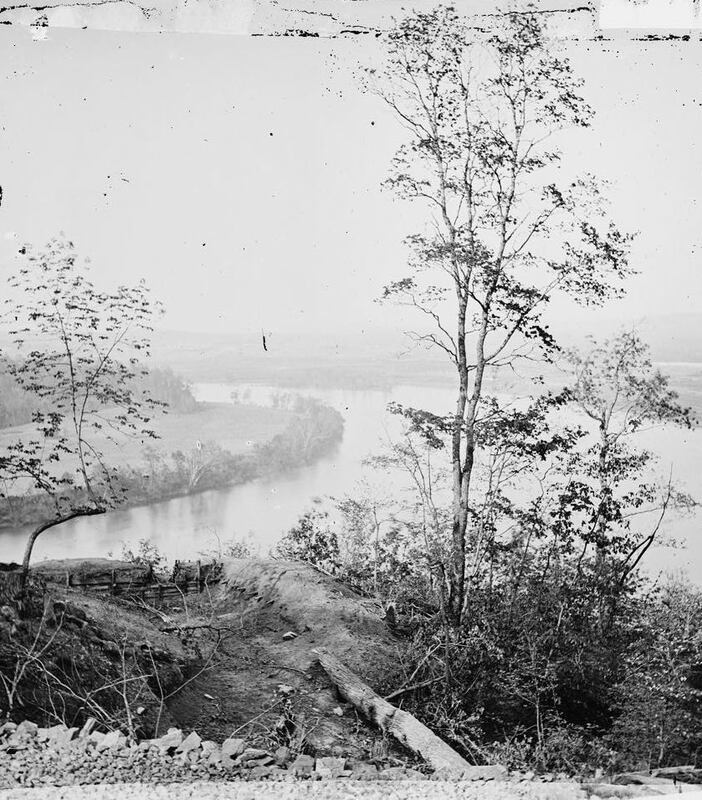 Colonel Hambright's makeshift brigade arrived at the Tennessee River shortly after noon, and ascended a hill that commanded Chattanooga from the opposite side of the river. One 79th Pennsylvania soldier on the firing line was Pvt. 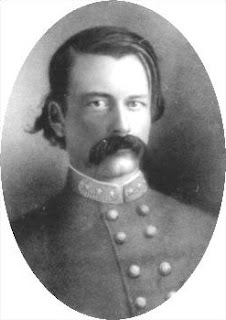 James Fields of Company A, whose letter to his father was printed in the July 5, 1862, Weekly Mariettian. In the morning...we continued our march over the mountain chain, toward the great city of Chattanooga at the foot of the great Cumberland mountain, where the rebels were laying with the city well fortified and entrenched with rifle pits and in readiness for us--but all this was of no avail, for we knocked theam into a three-cocked hat when we came. We planted six cannon pointing right into the rifle pits and then we got reinforcements of the Ohio 5th, of four cannons, making ten pieces, which enabled us to give them brisk work. The Colonel then employed skirmishers to go down to the river's edge to shoot them from the rifle pits while the cannon would fire on their entrenchments. I was one of the number to skirmish, and we fired at them all afternoon while the cannon blazed away at them until their guns were disabled. We could see them all afternoon carrying out their dead, and at sundown they ceased firing and evacuated the place, which we soon took possession of. The Union artillery reopened fire the next day but failed to solicit a response. By afternoon, Negley declared his mission a success and started to make the return trip back over the mountains. Remaining in Chattanooga would have meant vulnerability to attack and a very precarious supply chain (that would cause problems in October 1863 for the Union army) which Negley seemed to have no interest in testing. 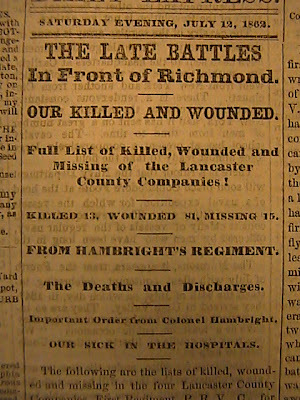 Casualties on both sides are difficult to verify, but the 79th Pennsylvania did have one man wounded--the first battle casualty of the war for the regiment. Pvt. Joshua Geiter of Company A was wounded in the arm, although he returned to the regiment, dying in the Battle of Chickamauga in September 1863. Geiter also was the son in the only father-son combination that I know about in the regiment. His father Henry, a printer by trade who wrote to the Lancaster Intelligencer later in the war, served the entire war in Company I. 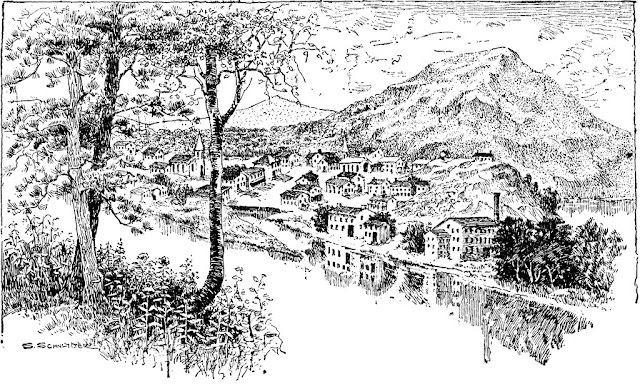 Strategically, although Union forces did not end up taking possession of Chattanooga, they accomplished their goal of attracting Confederate attention and proving that a division-sized force could hop over the mountain range and strike quickly against the city. 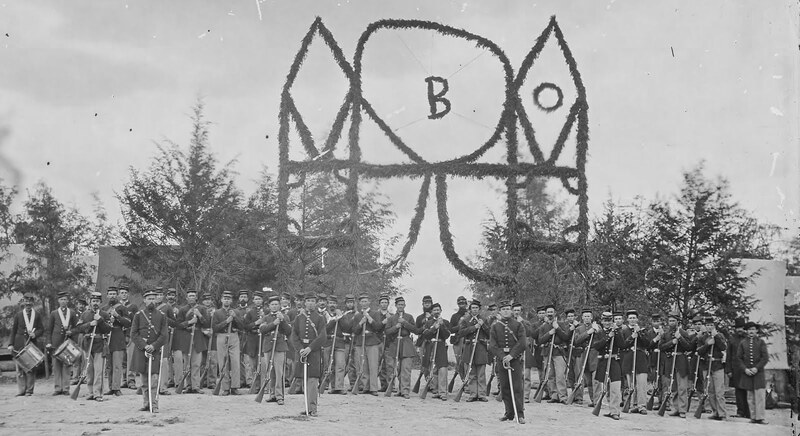 The battle is credited with causing Confederate troop redeployment that allowed Union forces to capture the Cumberland Gap eleven days later. The expedition with its heavy marching, tall mountains, cool streams, excited Unionists, and lopsided battles certainly made a positive impression on the men of the Lancaster County Regiment. Elias Witmer (bio) counted marching three hundred miles over fifteen days (read his letter here), and claimed the title of the most active marchers in all the Union army during that time. Pvt. Lewis Jones gave the best review, though, "I woul not mist the trip for fifty dollars." The 79th Pennsylvania's very first engagement--on June 4, 1862, at Sweeden's Cove near Jasper, Tennessee--also happened to be perhaps its most tactically interesting and superbly executed mission of the entire war. 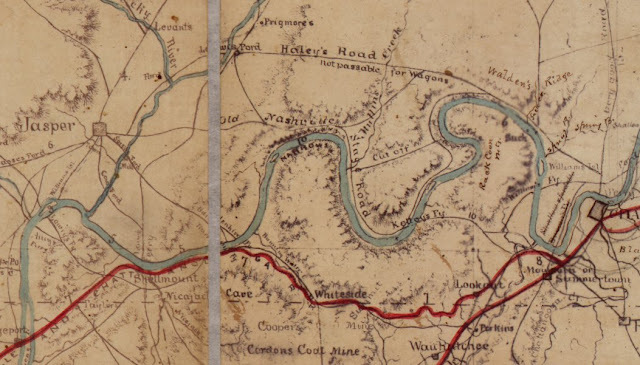 On May 28, the 79th Pennsylvania and other infantry, cavalry, and artillery under the command of General Negley left camp with twelve days' rations to march south again in the direction of Pulaski, Tennessee. 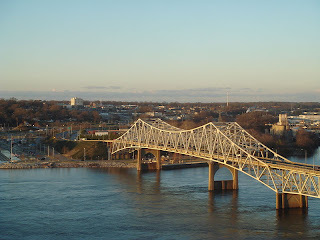 Instead of continuing south to Rogersville, as they had a couple weeks early, they veered east to march over mountainous roads to Fayetteville, Winchester, and ultimately the all-important city of Chattanooga approximately 90 miles east of Pulaski. Although I haven't seen it stated explicitly, I surmise the goal of this mission, which would have been planned by Negley and his superior General Mitchel, to feint towards Chattanooga to draw Confederate resources there and also encourage Unionist sentiment. The day is warm, the hills become steeper, the roads rougher, the poorly fed and worse cared for cavalry horses pant and fall to the ground, the artillery horses have become powerless, but the 79th is full of life--they laugh at their mounted fellow soldiers--the artillery call us the bull-dog regiment--the cavalry say we are the 1st Pennsylvania foot cavarly; we take it as a compliment, it gives us new life, and we push forward as fast as though the enemy, with 50,000 men, were on our heels. We waded streams, crossed a small creek forty-one times, arrived at our place of bivouac, took a bathe, eat supper, made out bed, squatted, "good night," and were sound asleep. After already having marched twenty miles that day, General Negley and acting brigade commander Col. Henry A. Hambright (bio) of the 79th Pennsylvania prepared to attack the rebels at the foot of the mountain. Although it's not clear the specific roles of Hambright and Negley, they positioned two sections (four guns) of artillery just off the wood line and prepared their two regiments of cavalry out of sight. Companies A, D, and F of the 79th Pennsylvania moved out of the woods and engaged the Confederates as skirmishers, soliciting the intended response of the cavalry being drawn up in a battle line. Union forces attacked from west to east (left to right on the map). Sgt. William T. Clark (bio) recorded in his diary that the people in the nearby town of Jasper "told us the rebels didn't run, they flew." 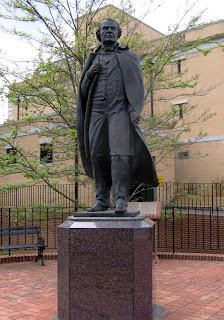 The victory was decisive, and the pathway to continue the expedition to Chattanooga was now open. Besides captured ammunition and commissary wagons, the Confederates lost 20 killed, another 20 wounded, and 12 captured. Clark mentioned on the next day that "Our cavalry found 20 bodies of the rebels that were killed yesterday," which must be those now buried in Bean-Roulston Cemetery in a mass grave. Union losses were two killled and seven wounded, mostly among the 5th Kentucky, I believe. The 79th Pennsylvania suffered no losses. Rogersville is a small post village, and one of the smallest kind, in Limstone county. It is one of those towns which we find at almost every cross road in the northern states, containing a smith shop, dwelling, and school house; but the town, however, is minus the latter. It is black as "Tow Hill" [in Columbia, PA]; occupied almost entirely by the same race of people; was built by the first settlers, who, from appearance, had great antipathy to white-wash, paint, and elbow grease. The country is as barren as Patagonia; their cattle &c., as poor as Job's famous turkey, and the citizens very ready to take the oath of allegiance,and then--cut your throat. Land sells from a dime to five dollars an acre, and produces excellent crops of mullin and thistles. Their plows are self-sharpening land pike, and their swine such as require knots tied in their tails to prevent them from getting into the potato patch. Each family supports a score of cats, and a dozen dogs, which receive more care and attention than their children, and their continual barking makes the nights hideous. The people, in general, live and die in ignorance. Other people think for them, and thus they become and remain the dupes of another's will. Wherever we find Pennsylvanians, there we find a love for the whole country; and it is a remarkable and deplorable fact, that while they in the south have remained true to the country, when persecutions were hurled at them thick and fast, and stood like martyrs when threats of the stake, the gallows and the knife were daily occurrences, that there are sympathisers in the north with their hellish deeds. Sympathy in the north for men who are in league with hell! We can scarcely believe it, yet in comes to us in glowing language upon the wings of the press every day. Oh, ye northern rebels, make peace with your God, the hour of retribution is fast approaching. He also makes an interesting prediction that the war will end in guerrilla warfare based on what he was seeing happening to Unionist citizens, and endorsed Military Governor Andrew Johnson's efforts to protect Unionists and punish those who harmed them. This post contains the sixth, seventh, and eighth letters of Lancaster journalist and adventurer J. R. Sypher. Read an introduction here. 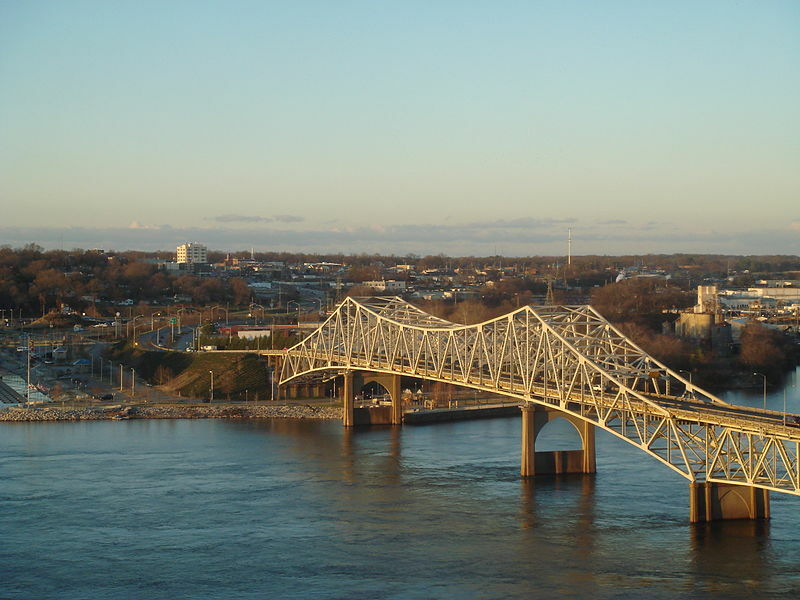 After chasing away Confederates from the opposite side of the Tennessee River and a somewhat daring raid in which some boats were burned and captured, the 79th Pennsylvania's next mission was a march to the town of Florence, Alabama, about twenty miles downriver from Rogersville. Advance elements took the city on May 16, and the main body arrived the next day. This morning Captain Wickersham was sent in with two companies to picket and guard the town, and when it was seen how good looking and well-behaved the Lancaster soldiers were, to say nothing personal of the officers, the ladies of Florence really put on their nice things, not rough home-spun, and appeared in the streets and at the door-ways, it is feared to a damaging extent, for many of the boys say they would "like to remain awhile." Otherwise, the most noteworthy news item was the exchange of the notorious Confederate Cavalryman John Hunt Morgan's son for the son of Union Gen. Ormsby Mitchel. Gen. Negley graciously allowed J. R. Sypher to accompany the truce party, and his letter describes what he saw within Confederate lines. The week-long expedition ended on a very sour note, though, as the regiment received orders to march hurriedly northward. They stopped at one o'clock in the morning to bivouac on the Tennessee-Alabama line. 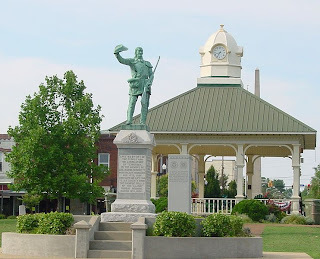 The next day took them on a wilderness road to Lawrenceburg, Tennessee, and another day's march in the rain got them to Mount Pleasant, Tennessee, and a camp they called Camp Duchman after the regiment's aged (and mostly irrelevant) lieutenant colonel. 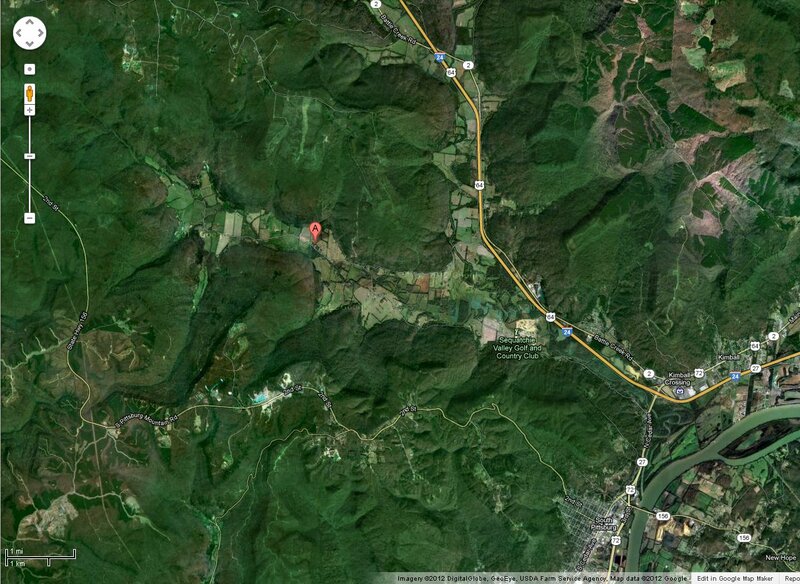 The command finally reached their old camping grounds at Camp Morehead in Columbia on May 21 or 22. Sypher, who had probably been spending time with his brother's artillery section, returned to the Lancaster County Regiment and was outraged to see men of the 79th Pennsylvania without shoes, which launched him into a tirade about a Army quartermaster and feelings about Jewish speculators similar to that what Gen. Grant had when he expelled Jews from the Western Theater later that year. Unkind words for Negley's staff officers' handling of the march. Outrage at the 5th Kentucky Cavalry (Col. Haggard), which was "especially notorious and obnoxious as slave catchers". Comical indignation at being mistaken for a chaplain.